Great news! 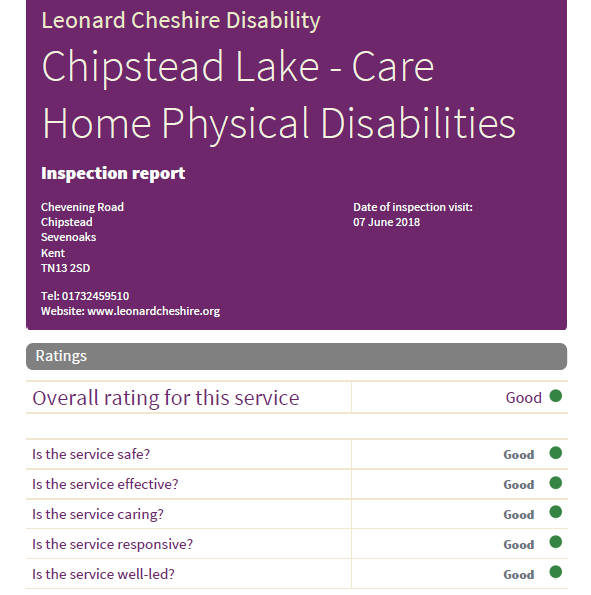 Our last CQC inspection gave us a "Good" rating across all 5 catagories! and skills they needed to provide support"
"People were supported to have maximum choice and control of their lives"
decisions about their care as far as possible. Confidential information was kept private. "People told and showed us that they felt safe living in the service"
"People's privacy, dignity and independence were respected and promoted. Care staff recognised the importance of not intruding into people's private space. Bedroom, bathroom and toilet doors could besecured when the rooms were in use. We also saw care staff knocking and waiting for permission beforegoing into rooms that were in use." The Environmental Heath team made an unannounced visit - and rated our Kitchen 5*!! Excellent news and a big thank you and well done to Simon, David, Jen & Donna for all their continuing hard work! 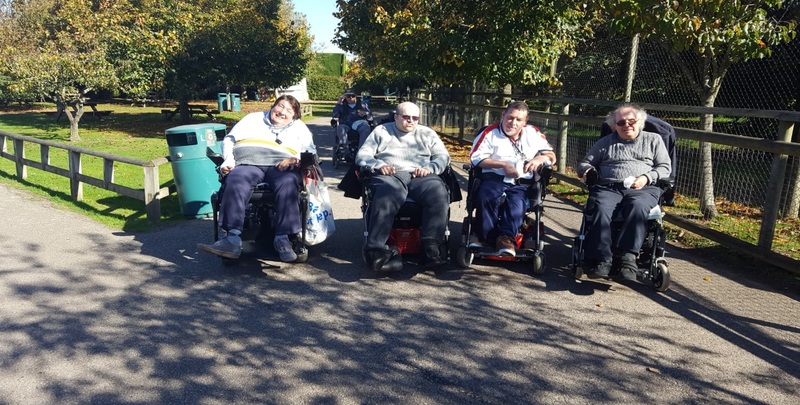 In October five residents went on a day trip to Howletts Zoo. Even though it was late in the year, the sun shone brightly and it was even possible to have a picnic lunch outside. A wonderful day was had by all and a return trip will be arranged during 2019. What a fun day Halloween proved to be. 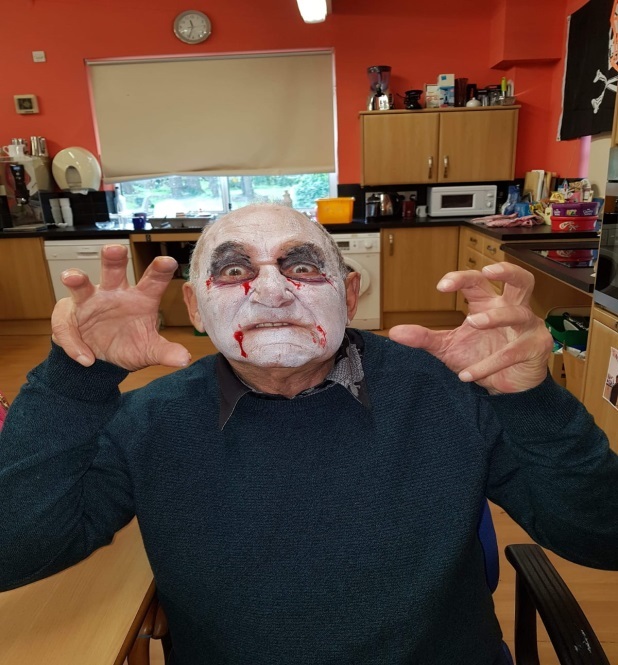 Celebrations took place in the Day Centre with residents making delightful treats such as bloodied fingers and eyeballs. This was followed by a Halloween themed lunch, and face painting, to get everyone in the mood for the scariest night of the year! 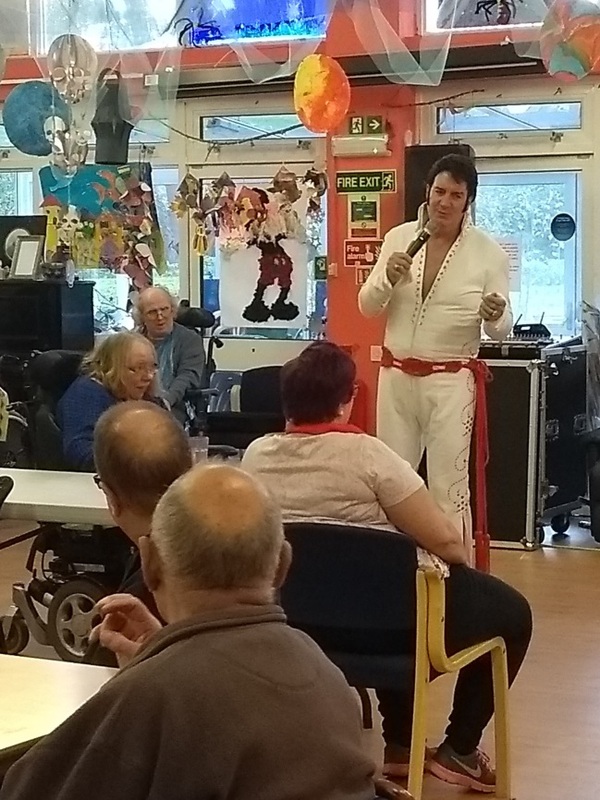 A fabulous lunchtime in the Day Centre took place in November when Kevin Parkes, Elvis Presley’s number one fan, booked Elvis impersonator, Gary King, to come in and sing for us. He provided fantastic entertainment and it was agreed that we should book him to come in again. There was definitely “A Little Less Conversation” whilst he was singing, we were all “All Shook Up” when he left and we were confident that, by starting our Christmas Celebrations with Elvis, it would not be a “Blue Christmas”!! 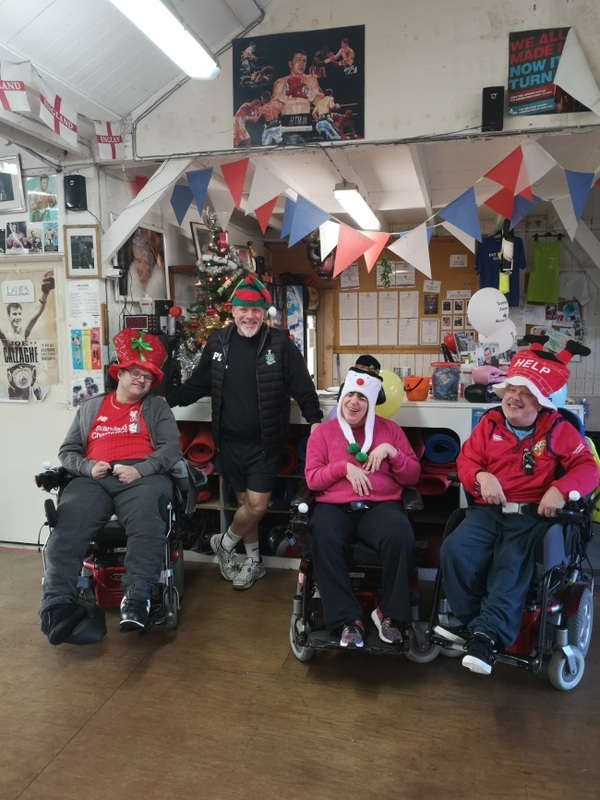 Boxing sessions at the Sevenoaks Boxing Club in Weald remain one of the residents’ favourite activities and have continued to run, on a weekly basis, over the last year. We would like to thank Paul and Andy for their continued support and for ensuring that everyone who attends these sessions, returns back to Chipstead Lake full of enthusiasm and wanting to go again. 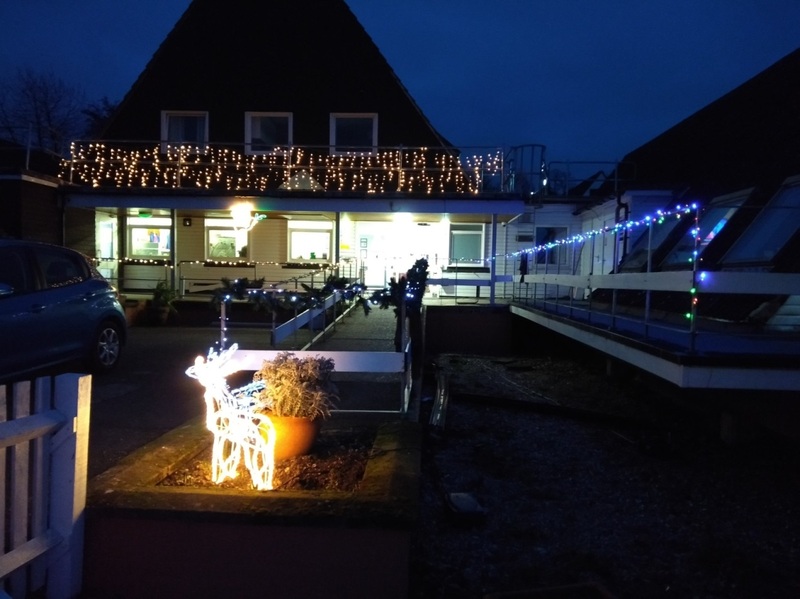 Chipstead Lake was decorated, inside and out, to the maximum in December 2018 and shone brightly. Staff worked incredibly hard to put up all the decorations and many compliments were received on how wonderful our home looked! Several Christmas shopping trips were arranged for residents this year, who were given a choice of which shopping centres they wanted to visit. All shopping days proved very successful with residents being supported by staff, to ensure that they were able to purchase all the gifts that they needed. A lovely trip was arranged to visit Bedgebury Pinetum in December 2018 to see the wonderful Christmas lights display. It was a coldish evening but the lights were stunning and definitely took everyone’s minds off of any coldness that they were feeling. On 5th of December we held our annual volunteers’ thank you lunch which was followed by pupils from Chevening Primary School coming into the Day Centre, with our local vicar, to hold the annual Christmas Service. The children sang beautifully and residents, volunteers and staff enjoyed joining in with the carols. The Residents’ Christmas party held on 13th December proved to be a wonderful evening and was also well attended by family and friends. Our Chefs, Simon and Dave, supported by Donna and Jen, prepared a fantastic buffet, which was enjoyed by everyone. Entertainment was provided by the singer, Darren Eiffert, who sang a variety of songs which everyone thoroughly enjoyed. Family members were, as usual, able to book Christmas Day and Boxing Day lunch here at Chipstead Lake, so that they could spend the day with their family member. Christmas Day started with Bucks Fizz being served in the lounge and, once again, the Christmas lunches that Simon, Dave, Donna and Jen cooked and served up were second to none. The Christmas festivities ended perfectly on 4th January 2019 when The Carousel Theatre Company came in to perform “Jack and the Beanstalk” in the Day Centre, for residents, family and staff. The whole performance was great fun but the highlight was definitely the cow (and its udders!!!). We are definitely looking forward to welcomming back The Carousel Theatre Company in 2019!